Have you ever been cold called by a stranger pushing and pushing to sell you something you don’t need? Calling back every day or two? Does all the junk mail arriving at your house every week go straight to the recycle bin? Traditional sales, or outbound marketing, is all about throwing a general message out to as many people as possible whether they wanted anything to do with your company or not. Flyers, popups, cold calls, junk email and more. For 99% of us this created a constant inundation of useless information we never asked for, never looked for, or wanted anything to do with. Not the best way to create happy new followers or customers. 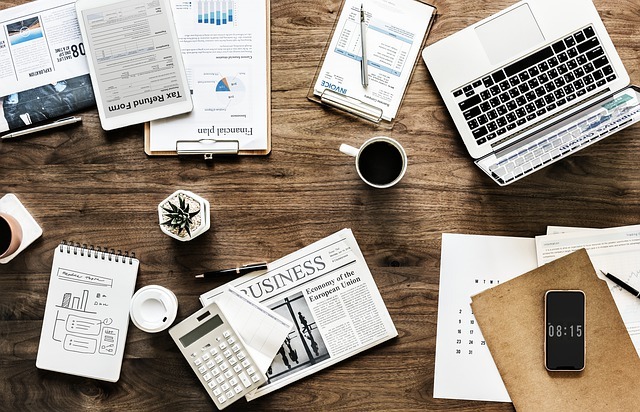 By stark contrast, inbound marketing looks to create a relationship with potential customers by sharing valuable information, answering questions and providing useful and meaningful content. Once a new visitor sees some value in interacting with your company they are more easily convinced that you are someone they can be comfortable doing business with. The costs associated with outbound marketing are astronomical when compared to inbound marketing. Want to see data on how much cheaper inbound is than outbound marketing? We’d be glad to show you all the ways this is true to help inform your process. Your new goal is for your team to be dealing with qualified leads who have interacted with your company and chosen to take the next steps by either asking for more information or going directly to purchasing a product. How Inbound Marketing Works and Why You Need an Inbound Marketing Agency. The phrase “inbound marketing” began with HubSpot in 2006. 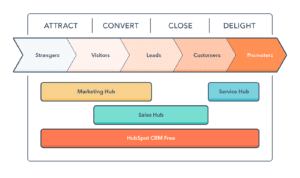 To understand how an inbound marketing agency can help grow your business, let's first take a look at what it is in easy to understand terms and why HubSpot’s inbound marketing is so effective for online businesses. The inbound marketing method is incredibly different and in a powerful way. In its simplest form, inbound marketing is finding people who are already interested in your product and helping them by providing valuable information or solving a problem they may have. By creating relationships with potential customers, you earn their trust and respect, making them more likely to want to do business with you. Simply put: Using Hubspot software, you will be able to generate more website traffic and have better leads which in turn bring more sales. 1. Attract: When inbound marketing is being implemented correctly, it will drive traffic to your website. Attracting the right people to your website is done by providing great content directed at a specific niche persona. This content is information they are actively seeking, with answers to the questions they haven’t even begun to ask yet. The right inbound marketing strategy will bring your new website visitors back for more because they found helpful information. 2. Convert: With return visitors, converting them becomes a little easier. For starters, they are already interested in your business and by continuing the drip of useful content you will be able to open up communication with your future leads. With the right call to action and properly designed landing pages on your website, you will see your email subscription list grow. 3. Close: Moving leads into customers is so much more efficient with inbound marketing. They have had ongoing communication with your business, either by blogs, social media, newly published content on your website or even direct communication. By having HubSpot maximized by an inbound marketing agency, you will reap all the benefits of inbound marketing has to offer and more importantly be able to focus on your business rather than spending time and energy learning how to create and implement the right content. And with this content infrastructure, your sales team will never again have to end a “just checking in” email to prospects. Instead with every email, your sales force will be able to send something meaningful and helpful. Much more powerful for the customer and efficient for the salesperson, right? 4. Delight: Once your customers have gone through the buying journey and have had an exceptional experience with your business, they tell their friends and anyone who will listen. Now they have reached the delighted step of inbound marketing. And when it is time to buy again, they won’t forget their experience because you’ll stay top of mind with them. And hey, this means you can sell to them again by using functions like Lead Status and Deals in Hubspot. 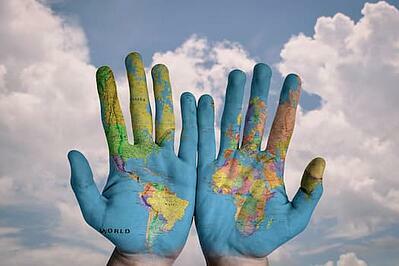 The future of marketing and the role of inbound marketing is looking bright. At Tangible Words, we have had the amazing experience of seeing the benefits of implementing inbound marketing across a wide variety of markets and niches. So Why Should You Hire an Inbound Marketing Agency? Save time and focus on your business and customers. Stop wasting time and money creating random advertising directed at EVERYONE and focus only on those already interested in your product. Put your sales team to work closing qualified leads rather than trying to convince strangers to buy. Focus only on qualified leads and don’t annoy everyone with products and services they aren’t interested in. Create an army of satisfied customers who will speak praises of your company and in turn generate more leads organically. Get to know your customers and provide value for them by learning what interests them. By creating new products or services based on the needs of your existing customers you will benefit from cross-sales and new opportunities. By learning and following your customer trends, you will gain insight into what other services they may be interested in. Benefit from a team of experts in their field who can save you time and money by creating focused campaigns and reaching interested prospects. 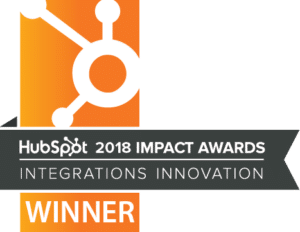 Recently, Tangible Words was awarded the HubSpot Integration Innovation Award, recognizing the way we integrate HubSpot tools to benefit our clients. Tangible Words clients have seen an increase in website traffic by 29% and a massive increase in social media of 230%. As a certified partner of HubSpot, Tangible Words has also seen the sales cycle shortened with better quality leads provided. There really is nothing like seeing the success clients have with hiring Tangible Words to implement the inbound methodology. It is why we love what we do: client successes. From website design, to copywriting and social media, Tangible Words, an award winning agency, is 100% focused on you seeing results and solving real sales problems. If you want to see more data on everything in this article - book time with our team to hash out your concerns, objections and curiosities.